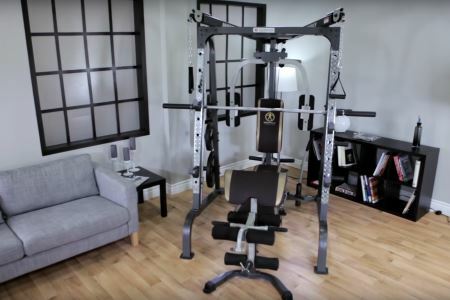 If you`re looking to improve your fitness level at home, a functional trainer is a great option to consider. The Marcy Diamond Elite Smith Cage (MD-9010G) is one of the most comprehensive options on the market. 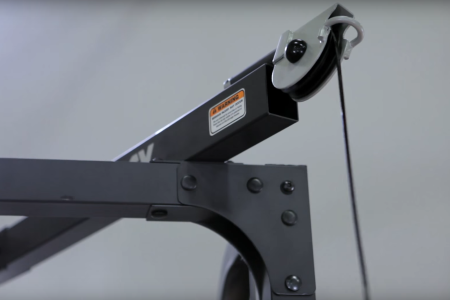 It can be difficult to replicate the exercises from the gym in your home, but Marcy has designed a machine that allows it’s users to work the primary muscles groups of the body. With a tubular steel construction, the Diamond Elite Smith Cage can be a good choice for home users. The Diamond Elite Functional Trainer provides a complete workout in a single machine. You can train your back, chest, arms, abs and legs without any problems. As a home user, you will probably want a machine which can help you to perform multiple exercises which can be rotated to enhance variation. The good news is that the machine can let you perform many exercises as it even comes with a broad range of accessories. These include single handles, rope, lat bar etc. You thus have multiple options to work the main muscle groups of your body. Since you will be training at home, you need a machine which is challenging enough to help you attain your fitness goals. From the top down, the machine allows you to work your shoulders with various pulling and pushing exercises. You can also work the chest muscles with an adjustable bar or by performing flys. With a 600lb bar capacity, even experienced gym users will have enough room to progress with their workouts. Abs and legs can be trained on the bench, which is removable, to provide you step-in access to mimic the Smith machine from the gym. The Diamond Elite Functional Trainer is one of the best machines in terms of design as it puts safety before everything else. You need to make sure that you understand your own safety should come first. For this purpose, you can use the adjustable bar catches and the safety stoppers which will make it easier to push for that extra set. The foldable bench is also great for versatility. The design allows it to be used as a base for bicep exercises, abdominal exercises, and even hamstring exercises. It provides enough versatility to work most of the lower body and the core muscles. 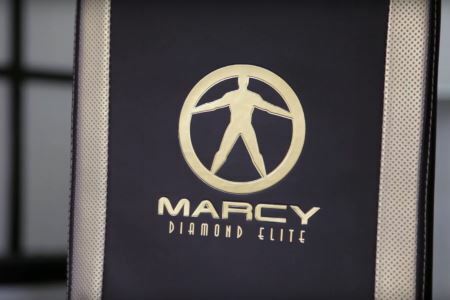 So who is the ideal user of Marcy`s Diamond Elite Smith Cage? The manufacturer aims to satisfy the home user who needs a quality product which runs smoothly due to the bearings system. It will work for people who train every day, and it may even provide enough versatility to split the training routine into a push/pull program as there are many exercises which can be performed. The steel structure, together with the adjustable settings, makes it one of the best options in terms of home safety for the whole family. It is one of the best high-end products, and this can be seen in the small details, like the plate storage system which will help you stay organized and safe from any possible accidents.